Disclaimer: The items reviewed in this post were supplied to me by the great people at The Gruffalo for me to review and keep at no cost. The opinions and thoughts are mine alone. This post contains affiliate links. Last week I shared some fun activities we did to go along with The Gruffalo . Today I’m going to share some additional actrivities we did to go along with the Gruffalo thanks to the wonderful people at The Gruffalo! 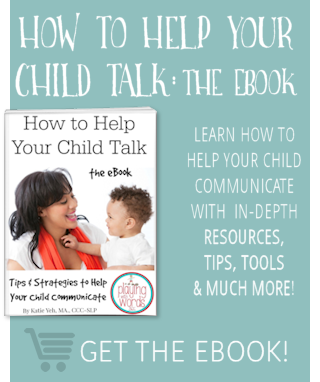 They teamed up with several of the Virtual Book Club for Kids hosts this month to host some great product reviews and giveaways of their products that go along with the book. Here is what we did! The Gruffalo Movie is a short film (approx 30 minutes) based on the book. After reading the book every night for over a week, my kids were pretty stoked to find out that there was a film version! This sweet film is narrated by the actress Helena Bonham Carter and basically follows the book very closely. My children LOVED it, and in fact watched it twice the first day we had it. I love the simple and soothing background music and the overall calm vibe the film has. Another box my daughter couldn’t WAIT to open was the The Gruffalo Rhyming Card Game . This game is actually TWO games! 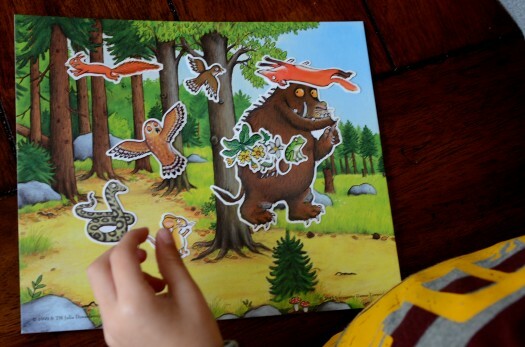 The first is the Gruffalo Word Rhyming Game is a fun little game where you work on finding the matching rhyming words. 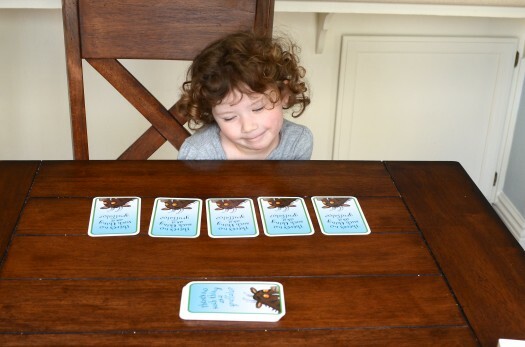 There are directions for the game included in the cards, and we also used the cards to play Go Fish for rhyming words. My daughter and I really enjoyed the games and I think the game would work well in a small group speech session as well! In the second game, There is No Such Thing as a Graffalo, the object is to collect all the cards in your “family” or in other words, all the animals in the story. This one is also fun and would be a great one for a small speech session. Both games are intended for 2-4 players for ages 4 and up. My daughter is 4 and I would say that 4 is the youngest I would play these games for sure. 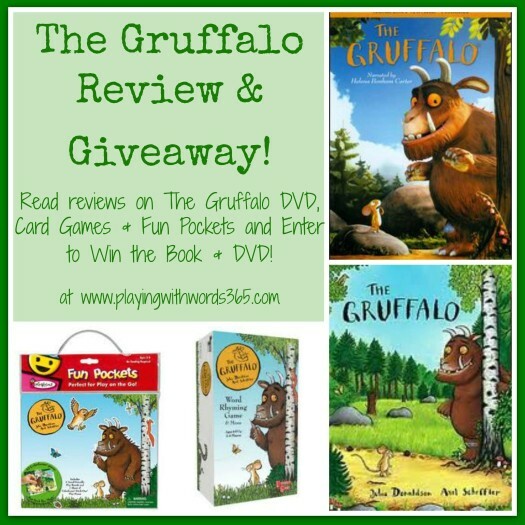 Now that you have had the chance to read my post about The Gruffalo as well as the reviews of these products, how would you like to win some! The great people at Gruffalo will be giving one of my readers here a copy of The Gruffalo book and the Gruffalo DVD! All you need to do is use the Rafflecopter below to enter. Giveaway is open to US residents with mailing addresses in the US ages 18 and over only. VOID WHERE PROHIBITED BY LAW. Giveaway open through Monday April 1st at 11:59pm pacific standard time. Please read the full Giveaway Rules in the Rafflecopter Widget before entering. Good luck! I love the idea of turning the Travel Kit into a barrier game!! 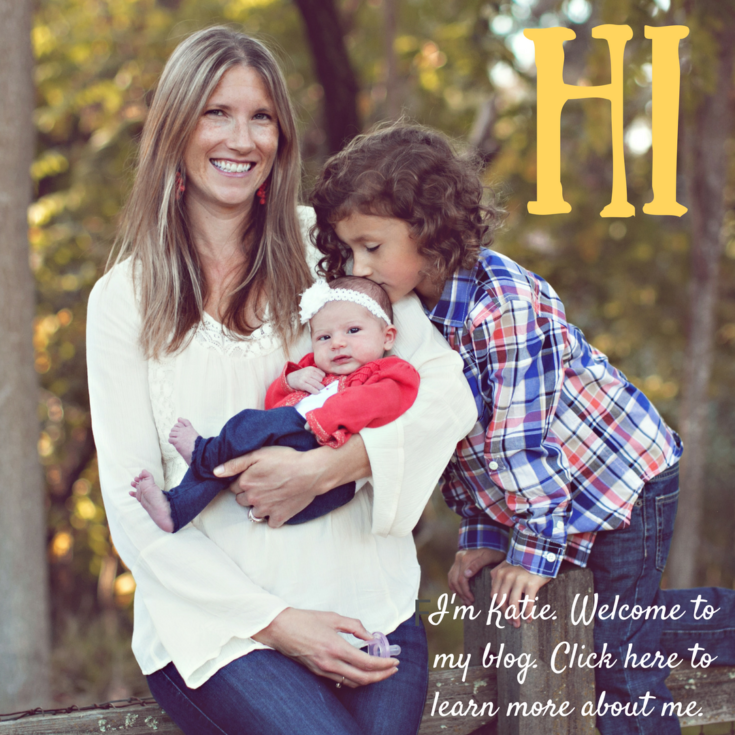 I particularly like using barrier games with my preschool/early elementary fluency kiddos. Thanks for the great ideas and introducing me to this talented author! The rhyming game looks fun! I would love this for my 2 year old little girl! This looks like a fun character to get kids excited the stories. I love the extra materials! I LOVE this book! I haven’t tried any “products,” but I use the story stick from Making Learning Fun to retell the story and the Mixed-Up-Monster app for describing a monster. I haven’t ever used them, but this looks fun! The Gruffalo Fun Pocket Travel Play Kit is my favorite. Lots of uses in therapy sessions. I would say the book is my favorite that you mentioned! I have been wanting to get the Gruffalo book to use in OMazing Kids Yoga but the game looks fun too! I love the book! Never read it before, but it looks super cute. The Fun Pocket Travel Play Kit looks great and would have so many uses. These ideas look so cool! Thank you for sharing. I love barrier games and actually haven’t heard of this book/movie yet. Would love to try this out with my clients! Bethany recently posted..Buddies & Bear Hugs. This looks like sucha versatile tool! We love the Gruffalo book! My son recently received the book as a birthday gift and we love owning it! The rhyming card game looks awesome! This story looks like a lot of fun. 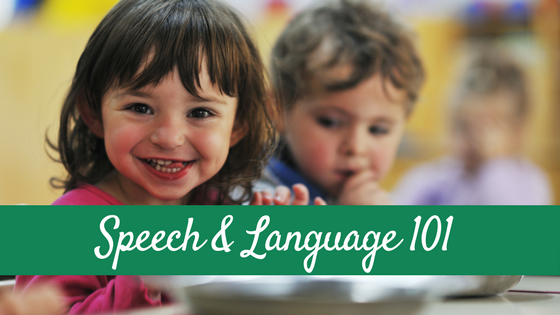 you have shared some great ideas I can use in the classroom and share with my SLP. Thanks! I love this giveaway, I hope I win! I love the card games! I think the rhyming go fish sounds awesome! What a great idea. I so like the use of fun when trying to accomplish something! It would be great to win, but I am also going to be looking for these products! I’m always looking for new activities to do with my two year old son, and I think he would enjoy this! Thanks for introducing me to The Gruffalo and all of Julia Donaldson’s books, they are wonderful!! I have not used any of the materials, but I would love to try them out! I really like the fun pocket travel play kit, and I would love to use it as a barrier game with my students! Te gruffalo is the only book my non- book loving son will read. 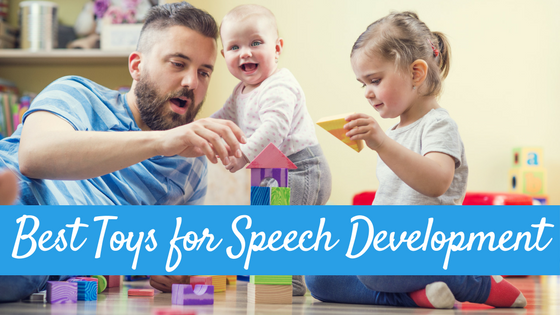 He is in speech therapy and we really appreciate your activities for this book! I love the Gruffalo fun pocket! This is a new book for me- it is always fun to find new materials to use with my students. Never seen the book before, thanks for the ideas! This would be a wonderful addition to the Little Faces Childcare center! Would love to give it to my little friends. On another web page, I found a printable mask that we could use to pretend to be the Gruffalo. What fun! We did a March is Reading Month assembly at school. Teachers and classrooms read their favorite books. This was one of them. It was the first time I had heard of The Gruffalo! Would love to win this! I have never used this book before but it looks great! I know my kids would enjoy this. I’ve never seen the book but I’m sure my grandson would love it!! My 3 yr old and 5 yr old love the books. Both of them were first introduce to the Grufflo books in school. Now we read them at home. We have read o few of the book’s, and enjoyed them. The pocket travel play kit! 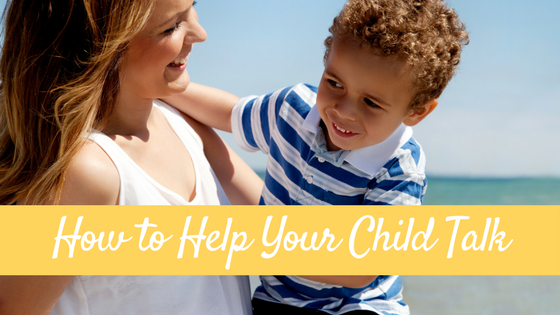 Perfect for a plane ride or a quick car ride to the beach! The only graffalo product we own is the DVD Gruffalo’s Child. Love this! How fun to use in therapy sessions. I’ve been wanting to get this DVD and book for my boys for awhile now. Thanks for the chance to win it! I love love this book (and many of her others too!) and had no idea there were other materials besides the book and DVD. The fun pocket looks like a super addition. I would love to try the rhyming game. It sounds fun and would be perfect for my son right now! I’ve never read it, but I’m sure my daughter would love it. The Fun Pocket Travel Play Kit is fun! I love the book/movie combos!!! 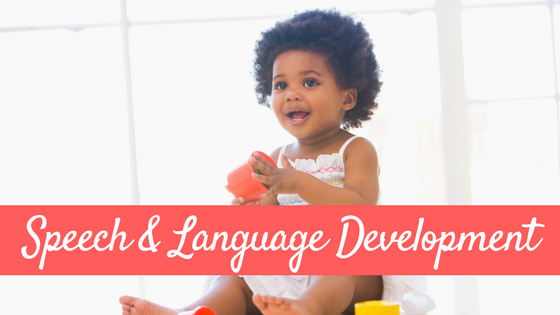 It helps my 2 year old with association and assimilation. My favorite Gruffalo item has been the finger puppet printouts from the Gruffalo website. I laminated them and glued them to Popsicle sticks. My son plays with them a lot and acts out the scenes from the book. They have been a great free toy! I can’t get enough of colorforms-but the book is a classic! I love this! Especially the Barrier game set up! I will need to check this book out. Thank you! I have never heard of The Gruffalo, but I use books in my therapy sessions all of the time. I have never heard of this item before. It looks really fun! I love the printouts of the Gruffalo characters. My 4 year old has a blast using them as stick puppets! This would be great to have for my students. We LOVE Julia Donaldson and all of her books, We too, have discovered the Gruffalo and the sequel, the Gruffalo’s Child. My 3 year old wants to read that one first all that time! I like the book and the rhyming cards look like fun! I am so bummed that I missed out the contest, but thank you so much for the informative article. The Gruffalo games and movie sound like loads of fun! I work with preschool students (ages 3 and 4) and they would love the story and then to watch the DVD. I think the 4 year olds would benefit from playing the barrier games with our classroom assistant during centers. I could build on the lesson by introducing the rhyming cards since they go along with the story. It would be great to build a whole lesson around Gruffalo. I think our students would enjoy it as much as your daughter has!